From Pop Rocks to Pudding Pops, what's become of your childhood faves? It may be 2011 in your house, but it's 1981 in my kitchen. Right now, I have Pudding Pops in my freezer, a box of Quisp cereal on my counter, and a package of Pop Rocks in my purse, hiding from my 3-year-old. I've just co-written the book "Whatever Happened to Pudding Pops? The Lost Toys, Tastes & Trends of the '70s and '80s," (Perigee, $12.95) and some days it feels as if my kitchen has done the time warp. Co-author Brian Bellmont and I wanted to find out what happened to those things we once loved so much, from "After School Specials" to Malibu Barbie to "Schoolhouse Rock." Many of the items in our book are foods, and absolutely none of them are healthy. (Don't worry Mom, maybe carob and wheat germ will be in the sequel!) We were happily reunited with some of our old favorites, but learned that others had passed on into that great Graveyard of Discontinued Foods. 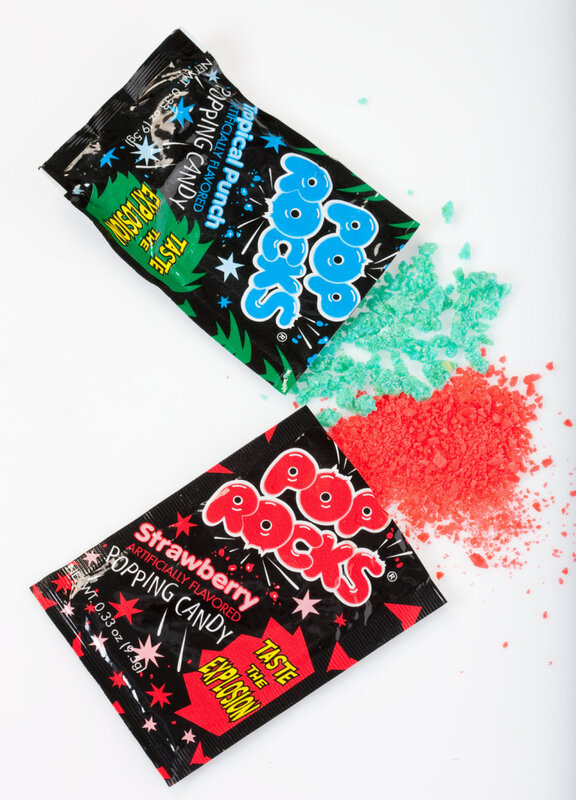 Pop Rocks, the fizzy candy that explodes in your mouth, is still pretty easy to find. If your local candy store doesn't sell it, it can be purchased online. My daughter is not a fan. I believe her response was "Bees! They're stinging my mouth!" How about Hostess Choco-Diles, Twinkies that have been dipped in a delightfully waxy chocolate coating? They're only available in certain West Coast stores these days, but no matter where you live you can order them online at www.freshchocodiles.com. Remember Quisp, the cereal with the googly eyed alien on its bright blue box? He flew back to his home planet sometime in the 1970s, but Quaker brought him back in 1999. Check SuperTarget if you have one near you, and it too can be bought online. Some other food memories are gone for good. Remember Bub's Daddy gum? It's not made any more, but savvy chewers say that Super Bubble has about the same recipe. We kids loved Burger Chef fast food over McDonald's because you could order your burger plain and dress it yourself at their condiment bar, a true blessing for kids who hated mustard. Burger Chef's gone too; the one I went to is now a bank. Remember Wonka Oompas, the M&M-like candy that was half-peanut butter, half-chocolate? Gone, baby, gone -- though Wonka has resurrected the Oompas name for a fruity candy. The term "pudding pop," though, isn't unique to Jell-O -- at least one other dairy, Kemps, makes Pudding Pops, though not all states sell them. And best of all, they're are incredibly easy to make at home -- Google for recipes, or just try freezing pudding in plastic molds or paper cups with sticks for handles. It's not that we don't love modern food -- from Greek yogurt to pho to tofu. But sometimes, even a modern mom wants to take a bite out of her past. What food relic from your childhood do you miss the most? "Whatever Happened to Pudding Pops? The Lost Toys. Tastes & Trends of the 1970s and 1980s," by Gael Fashingbauer Cooper and Brian Bellmont, is in bookstores now.